Let's have fun playing music! A beginner with no musical experience? A parent who has played the guitar in the past? An adult, a homemaker, a student, or professional in search of a fulfilling new hobby? An educator wanting to work on finger-picking, lead guitar, music theory, or ear training? A serious music student wanting to sharpen skills? A grandparent, camp counselor, babysitter, daycare provider, teacher or...? Then please allow me to help you achieve your musical goals. 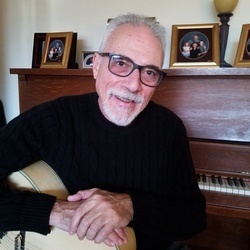 My name is Jon Spivack, and I am a parent, an educator, and a musician who has been teaching and performing in the Sacramento area for over 25 years. I have a B.A. in Biological Sciences, a Master of Arts in Special Education, and multiple teaching credentials. I have taught in a wide variety of settings, both in the classroom and as private instructor in the studio (at Tim's Music since 2009, and in The San Juan Unified School District). I also co-founded Learning Quest, a company that creates and markets educational materials for students. My new Jazz/Folk/Blues CD, Branching Out, is now available on CD Baby. Together we can work on the skills that will get you playing and learning while having a good time. Work on music-reading and the basics...become literate in the language of music, so you can learn independently! Please give me a call (916) 346-8270 or check out my web site www.fretstrumwell.com to discuss scheduling, rates, and your musical goals.